Note: This page is designed provide help with installing, moving, programing or proper use of your purchased Closet Works components in order to ensure lasting enjoyment of our products. If you are looking for replacement parts for an older Closet Works system, please call the main office at (800) 425-6738 for assistance. If you need general help on how to design or organize your closet, please visit our Closet Blog for organization tips and tricks that will increase the overall storage capability throughout your home. Every Closet Works organization system — whether closet, media/entertainment center, wall unit, pantry or other — was designed to provide many years of enjoyment and satisfaction. Closet Works products are some of your best closet systems available. Furthermore, built from only the highest quality materials, our merchandise is designed to last. Closet Works stands behind all of our work, offering a limited lifetime warranty on the products we manufacture and install. As time moves on, you may think about starting another closet remodel and want to make alterations to your system. Many components of our organization systems are adjustable and are relatively easy to move, accommodating changing needs and times. One example is a child's closet, where the height of hanging rods or accessories may need to be adjusted as the child grows. Similarly, an accessory like a belt or scarf rack may need to be added or moved in order to accommodate changes in fashion, or a growing collection of accessories in an adult closet. In other words, like all good investments, your Closet Works system is flexible and can be thought of as having "growth potential" — making it one of the best closet systems around. Review our corporate profile for more information on Closet Works. Although we recommend that you leave major changes on your closet remodel to our professional installers and carpenters, many accessories and components can be moved by the homeowner. This pdf document explains how to change the battery, as well as providing technical specs for the Stealth Lock. 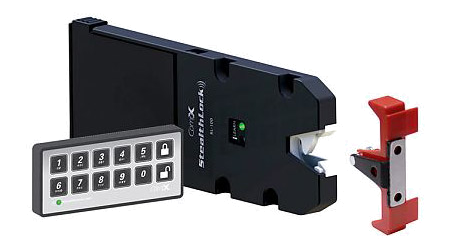 It also goes through the basics of moving the lock and changing the programming/codes. 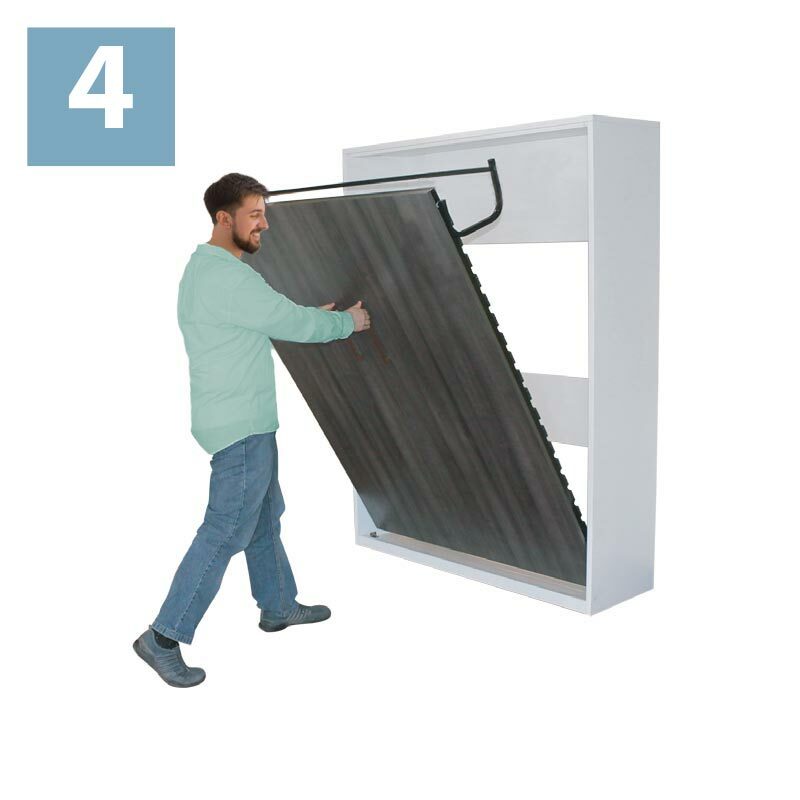 Follow these step-by-step instructions if you are having trouble closing your wall bed. The wall bed is assembled and shown in the lowered position. Pivot the leg towards the inside of the unit. Make sure the leg is fully closed. If your bed locks, push down on the middle of the bed to unlock the piston. Repeat this operation to lock the unit for beds installed with locking pistons. Pull up gently to close. 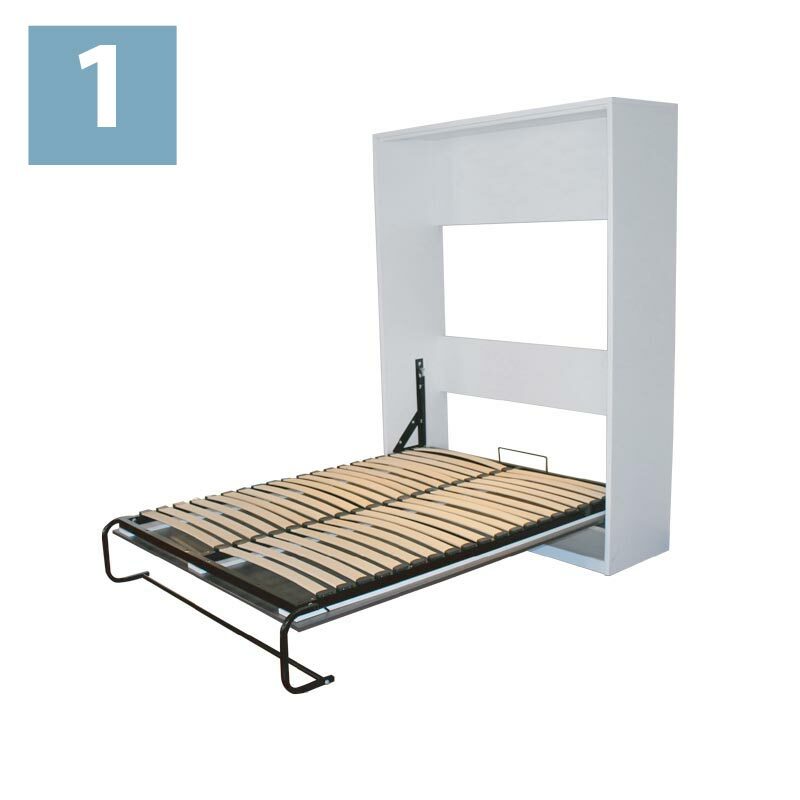 The leg serves as the mattress retaining system. Pistons insure that the door closes properly and stays closed. General specifications, including instructions on how to operate your wall bed, are available for download. This video shows step-by-step how to secure tool and accessory hooks into the Omni Track system manufactured by TAG Hardware. 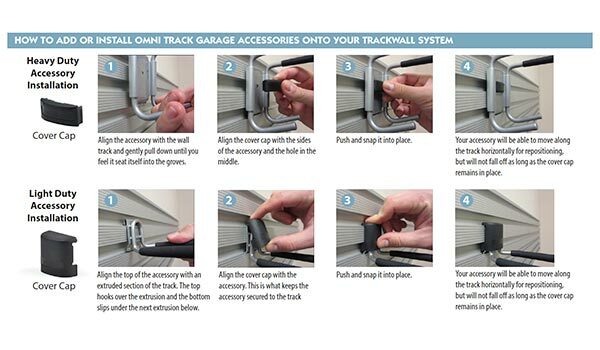 How to Install or Remove Accessories & Hooks on Your Garage Track Wall System manufactured by TAG Hardware. This pdf document provides written instructions on how to add or remove the hooks and accessories on the Omni Track Wall organization system manufactured by TAG Hardware. 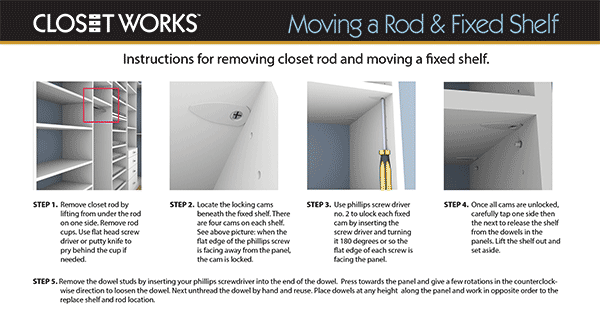 How to Remove a Closet Rod & Move a Fixed Shelf. This pdf document provides written instructions on how move a fixed shelf in a Closet Works system. 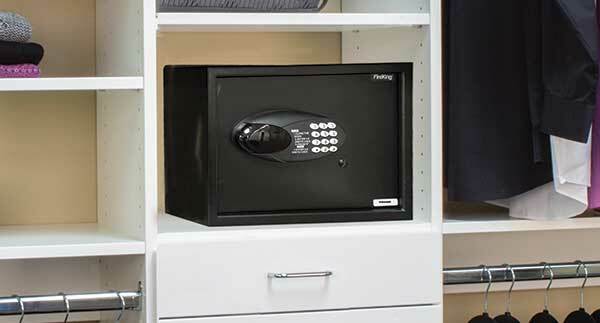 Operating & Programing Procedures for the Closet Safe. This pdf document provides written specifications, instructions on how to set the codes, and use of emergency keys.